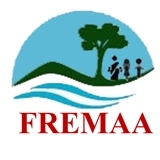 Applications are invited from eligible Indian citizens for engagement on contractual basis for the following post in Flood and River Erosion Management Agency of Assam (FREMAA) as may be seen below. Educational Qualification : Graduation in Computer Engineering from a recognized University / MCA. Remuneration : Rs. 45,000/- per month. TA/DA and other allowances admissible as per FREMAA norms.